If you are wild about wildlife and want to turn your garden to a heaven for all creatures great and small, then it is time to grow some green fingers. Wild About Gardens Week is between the 25th-31st October, and is an initiative to get people making the most of their little patch of turf. As well as suggestions for activities that you can do at home, such as planting hedges, digging ponds, and birdwatching, there are also events around the country that you can get involved in. 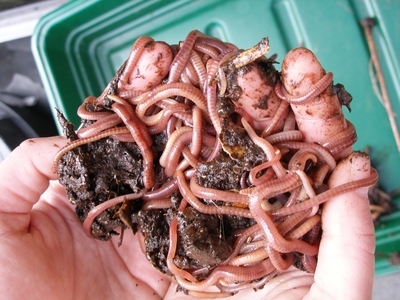 For example, Harlow Carr Gardens is offering a free Yorkshire Rotters Wormery Workshop, where you will learn how to get the most out of your compost heap. Kelmarsh Hall in Northampton are looking for volunteers in their Big Bulb Planting Challenge, in which they aim to plant two thousand fritility bulbs in two days. A sensory walk has also been scheduled in Rosemoor, Deven. In anticipation of Wild About Gardens Week, there is also a Grow Your Own Autumn Festival between the 11th - 13th October, where you be able to take part in lots of family fin activities. These include mushroom foraging, and identification, as well as apple pressing and tastings.